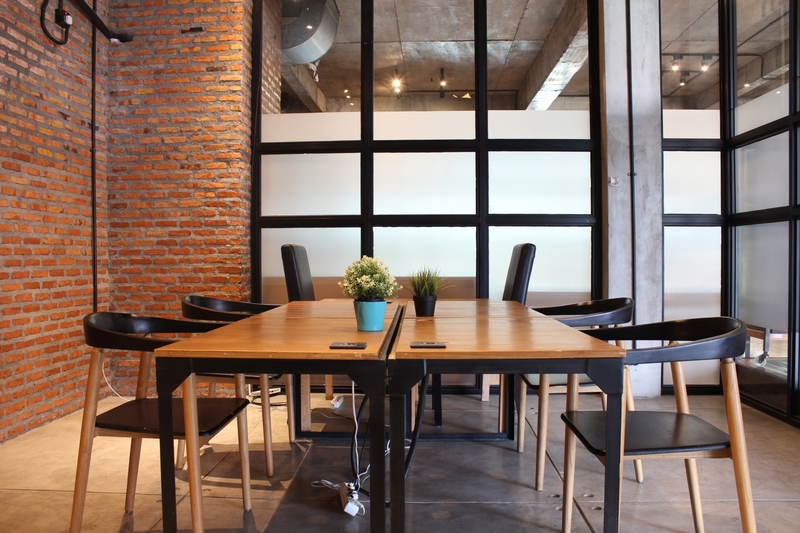 The proliferation of coworking spaces in Jakarta has inspired countless charming designs and features in an office space. These days it's getting harder to differentiate the workplace and home, considering all the things that you normally find in your living room can also be found in the common area of your coworking space, for instance, pool table, ping-pong table, and your favorite console, it's no surprise that some people linger in the office longer than you'd expect. Echoing my narrative above, is a friend of mine that recently updated her status on Facebook - "The problem with your office being too comfy, is that you find yourself firmly entrenched in it at 8 p.m. which becomes 10 p.m. which then becomes 12 a.m. and you realize several colleagues are also still here"
As if 9-5 isn't enough, here are 7 totally awesome office space that allows 24/7 hour access in Jakarta so you can burn the midnight oil or just chill out with your colleagues after work hours. Insider tip: While you have building and space access, the centralized air-con is usually turned-off after office hours so bring in a portable air conditioner to your office if you want to stay cool! 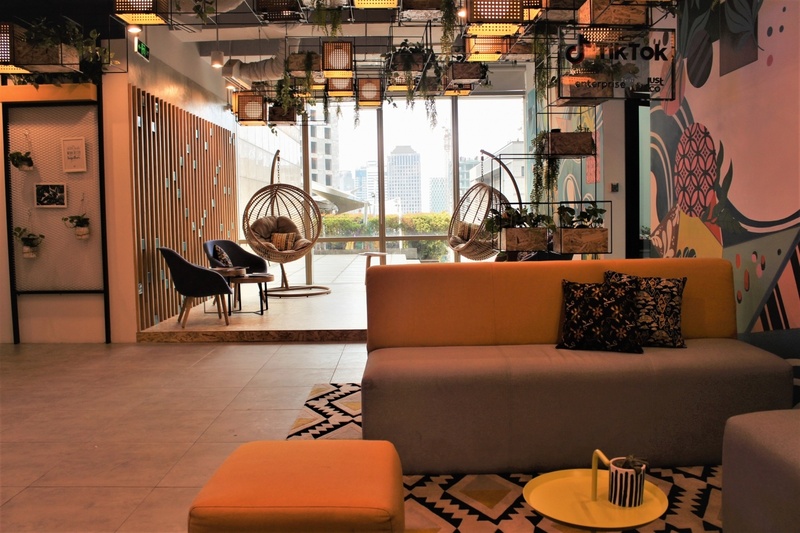 Dive into WeWork's newest centre in Menara Astra. Located on the thirtieth floors of a high-rise grade A building in a bustling business district means tenants can enjoy a panoramic view of the Jakarta Skyline. Their unique living-room-style common areas are tastefully decorated with in-house art paintings, neat furniture, and quality books. Get your daily dose of caffeine made by their very own barista or pour yourself a pint from their beer draught station after work hours! 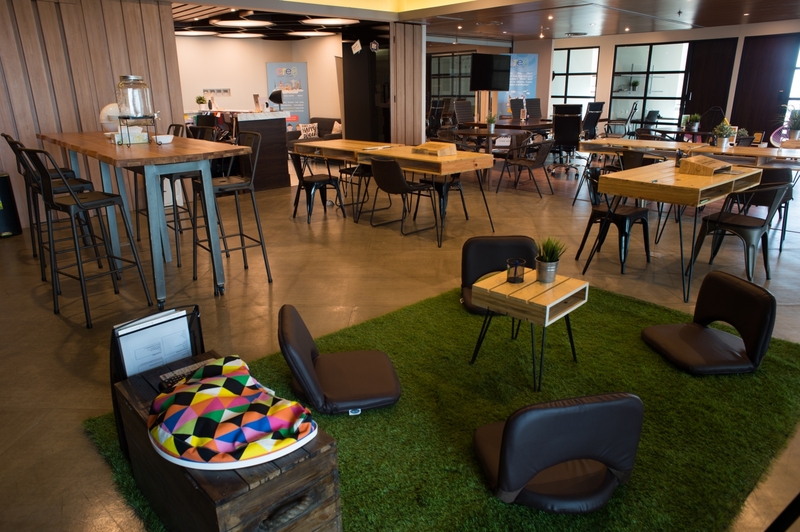 JustCo in The Plaza - you wont find many office spaces with a better location than this one. Situated beside the most prestigious shopping malls in Indonesia means tenants have a wide selection of quality dining and entertainment options all within walking distance. On top of that, accessibility to the Bunderan Hotel Indonesia MRT station that is set to be completed in March 2019 will make the commute less agonizing. 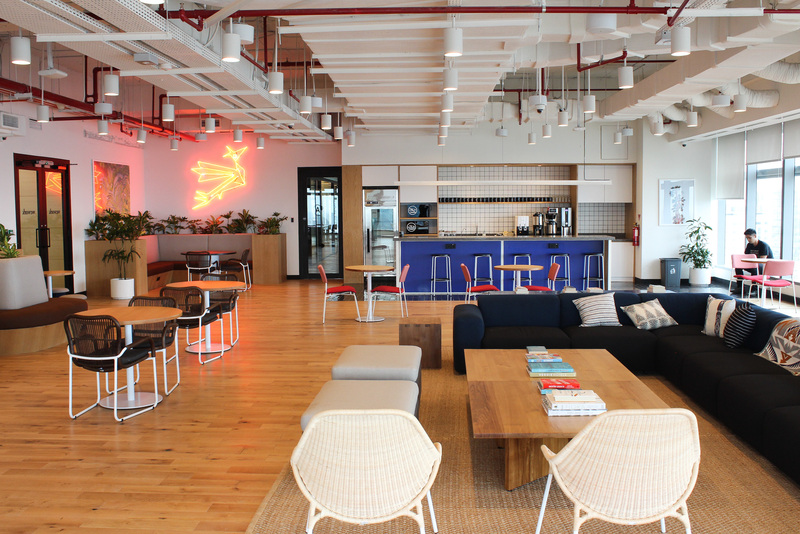 GoWork have made great progress over the last couple of years, opening up many new locations, it's merger with Rework, and well as raising $13.8 million in their recent series-A making them one of the most established local coworking operators in Indonesia. Their space is comfortable yet professional, and their members receive an access card that grants them 24-hour access to their office. 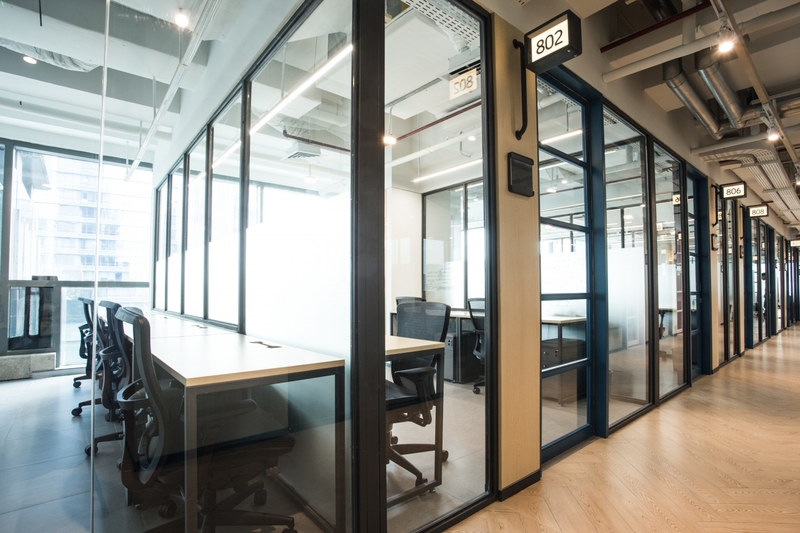 Operating in 4 different countries and currently 5 centre locations in Jakarta, UnionSPACE is a well established coworking space operator that prioritizes your privacy. Tenants in UnionSPACE have access to a wide array of services and perks on top of 24-hour access such as mailing services, community and social events, and even external legal, accounting, and marketing support should it be desired. Check out their space at TB Simatupang! 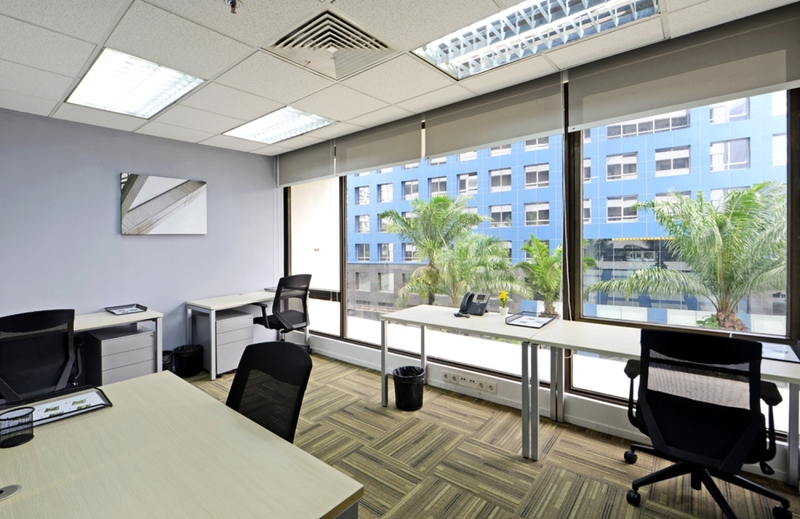 The world-renown serviced office brand, Regus has 15 centres in Jakarta alone. Most, if not all, of their centres are located in a grade A building with 24-hour access. Regus highlights its professional work environment, fully-furnished workspaces, corporate addresses, and an extensive global network. One of the early adopters of the concept of coworking in Indonesia, Conclave have established themselves firmly in the industry with 4 locations across Jakarta. Their spaces are generally known to be a place where people can connect and create something great together. They focus on simplicity and completeness in their space. Located on the 27th floor in Noble House, Schinder Business Center is a premium serviced office founded by Schinder Law Firm. 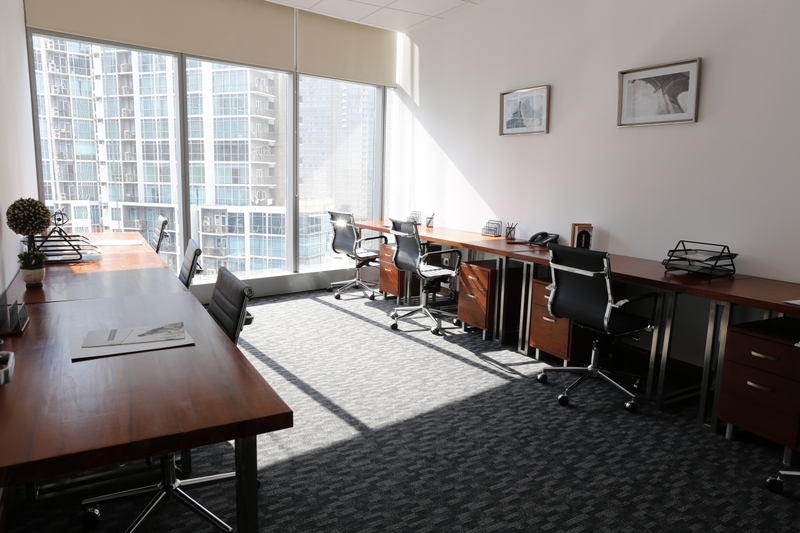 It features a fully-furnished office space, with high quality equipment that is perfect for a corporate setup. They also provide business services and legal support for foreign companies entering the Indonesian market for the first time to get a jump start. That concludes it! If 24-hour access isn't at the top of your priority list, we have tons of other office spaces with great perks and facilities in Jakarta. Don't have time to filter and browse? Don't worry, we do! Tell our local Space Expert Yola what you're looking for at yola@flyspaces.com and she'll happily help you out! Michael is the Marketing Manager for FlySpaces in Indonesia. Having lived in several countries including Singapore and United Kingdom has given him an open mind, a rich exposure of different cultures, consumers and businesses globally. He aspire to promote innovative technologies in Southeast Asia.